Malachite (pronounced malakite) a bright-green mineral taking a high polish. O.E.D. Malachite makes independent music, arts, documentary, environmental and educational films for broadcast, cinema, DVD and online. is a filmmaker and works as a writer, director and producer in film, television, video and multimedia. He began his broadcasting career at the BBC where he received extensive technical and production training both in radio and television. He subsequently worked freelance for the BBC, ITV and corporate production companies before setting up his own production company, Malachite Ltd.
Having spent many years shooting award-winning films on 16mm & 35mm filmstock around Britain and the world with crews large and small, Malachite ‘went digital’ for the Millennium, investing in new lightweight and compact equipment. Usually Charles Mapleston now works with just one specialist collaborator. This low profile approach puts film subjects at ease and speeds the production process whilst maintaining that all-important broadcast quality, both technically and editorially. is an art historian, researcher, writer, curator, lecturer and designer and has worked on numerous Malachite films. Frank Brangwyn 1867-1956, Leeds, Bruges, Swansea, 2006-2007; Frank Brangwyn, Tokyo, National Museum of Western Art, 2010 (presented with award for best researched exhibition by Western Arts Foundation, Japan). We used to be based in London, Chiltern Street to be exact, recently named as the ‘coolest’ road in the big smoke. 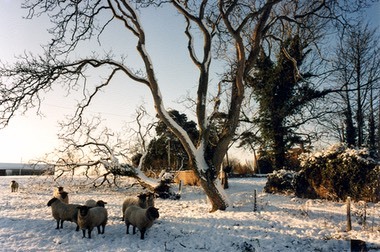 But in 1986, Charles wanted to devote more time to writing and making his own personal films and moved to deepest darkest Lincolnshire where he found a decrepit large, old and mainly Regency country house with plenty of room for edit suites and equipment, a self contained flat for visiting specialists and our very own cinema. Not that people usually bother about the self-contained aspect because we’ve a substantial garden complete with hens, greenhouses, fruit trees and vegetables and we’re pretty good at knocking up decent repasts over the AGA in winter or in the wood fired brick oven or various barbeques in the summer. Our original London office was opposite a busy fire station, but now we look out on a field of peacefully grazing sheep. The Lincolnshire Wolds are one of Britain’s best-kept secrets: the magic triangle bounded by Spilsby, Horncastle and Louth contains some of the most beautiful unspoilt terrain in the country. Great for cycling, too - we have a garage full of bikes. The ocean is nearby too. 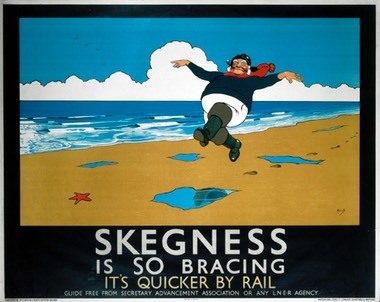 And although the North Sea is not the world’s most hospitable stretch of water, much of the Lincolnshire coast has vast unspoilt sandy beaches; a great place for beach-combing, creative inspiration, dog-walking and huge quantities of bracing fresh air. We like to think we’ve attained the best of both worlds because our office is conveniently based in central Cambridge (CB1) within walking distance of the University Library for research purposes, Parker’s Piece swimming pool for exercise, and the train station with speedy and easy access to London, for meetings, interviews and yet more libraries. Cambridge is beautiful, historic, laid back and mellow yellow. 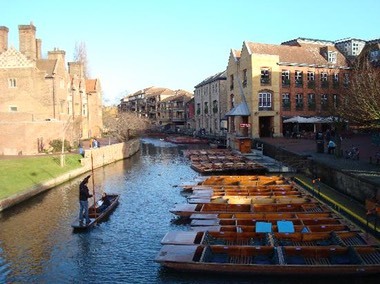 There’s so much to do and see in the city itself (all the colleges and churches, Fitzwilliam Museum, Botanical Gardens, the summer Shakespeare Festival) and surrounding area (Ely, Anglesey Abbey, St Ives via the guided busway) etc etc. Catering in our Norfolk Street office leans towards the Middle Eastern since Libby developed a taste for such food when living in Saudi Arabia, North Yemen and Iraq (and nearby Mill Road is full of Middle Eastern groceries).